A Picturesque Shack next to Telemark Lodge in Cable, Wisconsin. I recommend Telemark highly. 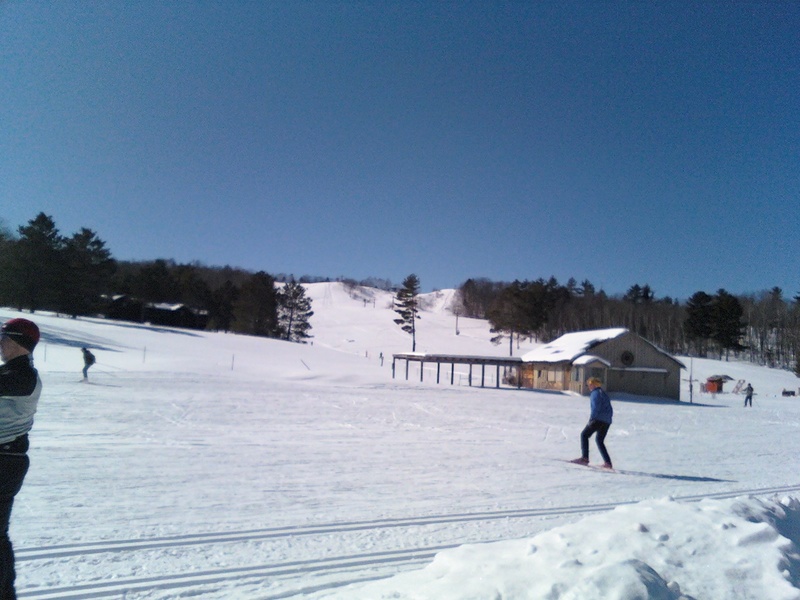 Hot and Fast at Telemark Lodge in Cable, Wisconsin. The snow was a bit warm: 25 F.
The trail was very firm: you can use your tiny baskets. The crowd was amped: and who wouldn’t be? Brian and I took a 5 km spin to check wax. And the results were confidence-building. In a word: DIALED! 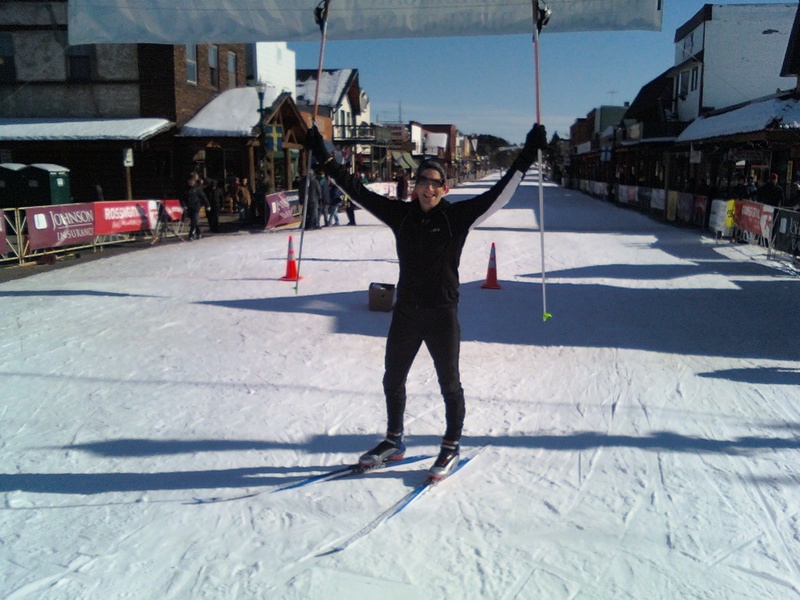 DO YOU KNOW HOW HARD IT IS TO SPRINT ON SKATE SKIS? It is hard my friends… my readers. But you must drive toward the thing that makes you anxious. You must do so in order to conquer it. Mastering that which seeks to crush is the way to heaven…or to the finish line. I am not fast, I cannot sprint, I barely know how to V2, and I don’t know how to start with that churning mix of V1 and whatever. But I did it anyway. I was not trying to win. I was trying to put the hurt on mine enemy: anxiety. And I made the podium: Third out of a field of three. The roar of the crowd was deafening. Bouuuyah! Did I spell that right? See you skater fakers. See you tomorrow Korte pretenders. I love you and I will crush you… in a kind and loving way.